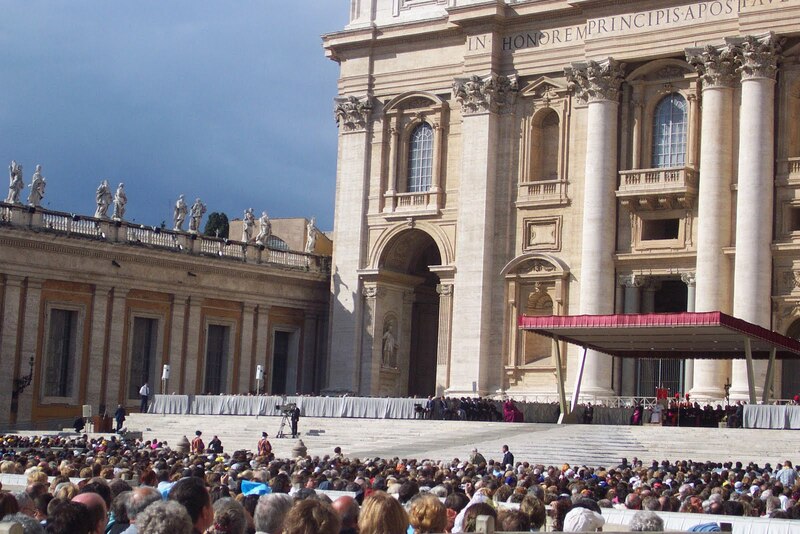 The Holy Father's visit is nearly upon us and the details of how to see and support him are available here http://www.thepapalvisit.org.uk/2010-Visit/Itinerary. 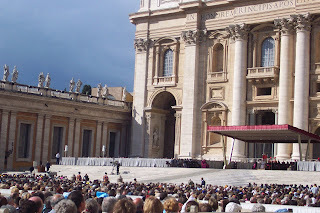 Although the 'public' events in Glasgow, Birmingham and Hyde Park, London are described as such, you have in fact to be with a Catholic parish on pilgrimage to be there and get the authority and passes necessary. However, as you can see from the links there will be opportunity to support and see Pope Benedict XV1 on the various routes he will travel. One hopes that many, especially those within easy reach, will make the effort to do at least this and resist the easy option of TV. I suspect and believe the visit of His Holiness, despite all the fears and no doubt a few detrimental headlines, will be a great blessing which is surely the measure of 'success'. A blessing for truly open and liberal Anglicans as for everyone else. The visit of the successor of Saint Peter can surely not be 'downgraded' by the disagreements that are a scourge on the 'modern' church at this time? Or tell me if I'm being too optimistic. Of course the true test of faithfulness and genuine receipt of blessing will be how Christians who disagree with each other in the Anglican tradition treat each other after he has returned to the Holy City of Rome from where all our history as Christians (and our future too surely) lies or is that the wrong word to use! How will the Diocesan Bishops of the Church of England lined up in joint Audience with the RC Hierarchy behave after the inks on their special passes to be in His Holiness' presence have long since dried? Will they show true ecumenical love and generosity in buildings and resources to their sisters and brothers in Christ of their own tradition who leave to seek greater unity under the Dominical imperative 'that they be one'. I will be awaiting with joy the sight of the new shrine to 'Blessed' John Henry Newman at which Pope Benedict will be the first to pray. No doubt there will be greater attention at the other shrine to Saint Edward the Confessor when he goes there with the Archbishop of Canterbury. That shrine which has hurriedly been re-marketed for the occasion having been shamefully sidelined and been so inaccessible bearing in mind he is the national Saint par excellence and the only medieval shrine to have survived the desecrations of the centuries. My photo is from my own pilgrimage to Rome in 2005 at which the now retired (and now abolished post of) Provincial Assistant Bishop in Wales,+ David Thomas was presented at Audience. Wales was then blessed indeed! 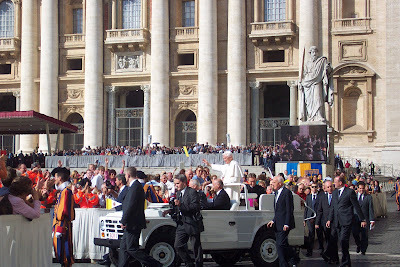 I expect there will be many Christians in the province who will be disappointed that there will be no Papal visit to Cardiff as there was with Pope John-Paul. The country will apparently receive the blessing of Benedict from the throne in Westminster Cathedral addressed specifically to the Welsh perhaps in the Welsh language? Like much of this visit we will have to wait and see! In the meantime Anglican churches ought to be full of prayers for this most worthy and faithful disciple and special man appointed by divine grace Christ's Vicar on earth. Viva Papa! Let the Novena of prayers commence soon! Very well said, Mark! Cymru am byth!